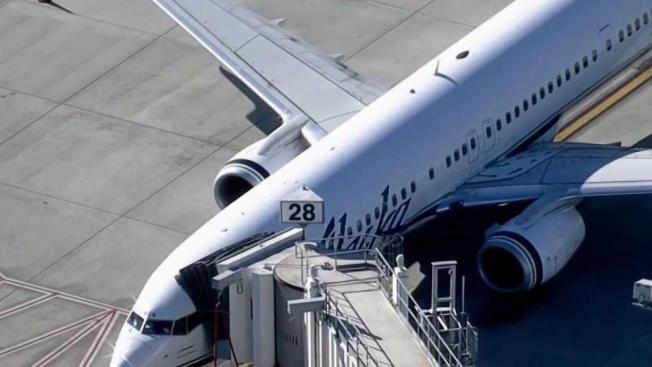 An Alaska Airlines plane at San Jose International Airport on Wednesday was evacuated due to an apparent security threat, according to an airport spokesperson. The spokesperson said an apparent WiFi message indicated that there was some sort of bomb threat declared, but officials later determined that the threat was "non-credible." After being escorted off the plane, passengers were forced to re-screen before boarding again. The plane is scheduled to fly to Hawaii.